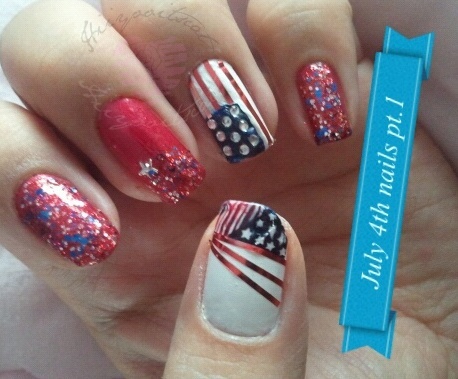 Here are my Patriotic, Celebrating our freedom, Proud to be an American nails!! lol I don't know why I said all those things.. Kind of just felt like it =).. I've seen a few patriotic nail posts today and they all look great!! So I had to make sure to add to those collections of posts today =). I hope you guys are enjoying your day/night out! Enjoy the time with your family and friends and don't stay out too late for those fireworks! 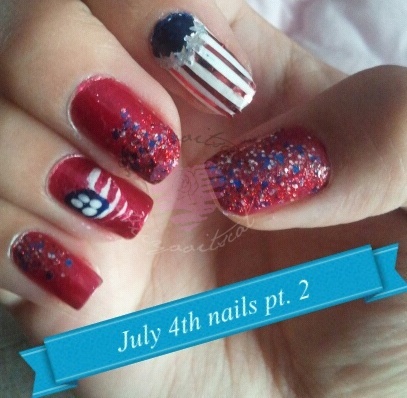 Read on for full photos of my Patriotic Nails!! as well as product info! I did my nails the same day my Julep box arrived. I could not wait to use "America"! I had a tough time trying to figure out if I wanted to stamp or not.. So I just stamped the tip of my thumb. What is more patriotic than an American Flag =).. You might remember my first photo from Instagram (@hiiyooitscatb).. 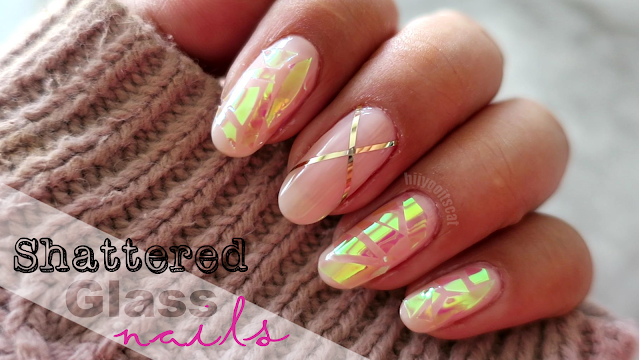 I will be uploading mostly nails of the week right after I finish doing them on there =). Instead of a typical flag I decided to do a flag in a heart shape form. This was the hardest for me. Since I am right handed and was doing it with my left hand. After I was done making my heart after 5-10 minutes.. I remembered I had dotting tools that would have taken me 2 seconds! haha. Apparently matching lips and nails are a trend this summer! What do you guys think? I thought it was fun to do this lol.. I would have used micro beads but I don't have any =.=.. I have to say I like the matching nails and lips combo.. It looked great with the Red Lipstick (w.out the glitter of course). This is it for the July 4th segment. I hope you guys enjoyed my make-up looks and nails for this week! I enjoyed showing my Patriotic side =).. It was fun and gave me a chance to use some shades that I have not used in a while (shadow & polish).